Every season, readers get very confused by the concepts of “bottom two” versus “jeopardy”. If you don’t listen carefully to what Tom and Brooke (now Erin) say, it’s easy to get confused. If a couple is in the bottom two, it means that they, along with the eliminated couple, had the lowest combined score. The combined score is determined by viewer votes and judges scores. The formula is relatively simple: they take a couple’s score and divide it by the total points handed out on a given night to get their share of the judges scores. They do the same with the viewer votes; they divide a couple’s number of votes by the total number of votes cast and come up with their share of the votes. They then add the two numbers together; the couple with the lowest combined total is then sent home. You can see many examples of this in my series of posts called “Dancing by the Numbers”. When the show is airing, there are two ways of getting to an elimination, by putting three couples in jeopardy (oh, the drama) and then saving one, and then one of the remaining two goes home. And then there is the straight up identification of the “bottom two” couples. Tom will say “the bottom two” if this is the case. If neither Tom nor Brooke (now Erin) says “these are the bottom two” then we don’t actually know if the two people standing at the end are really the low combined score getters. There are multiple reasons why they like do this. The main reason, of course, is DRAMA. How they love their drama. They like to make the show exciting and if the low scorer was immediately sent home every week, what fun would that be? This past week, you’ll note that Tom and Erin made it clear that Cody and Witney were “not necessarily” the bottom two. Drama, drama, drama!! How exciting is it when the high scorer of the night is standing next to the low scorer of the night and you don’t know who’s going to survive – and the producers fool you into thinking that the low person is for sure going home…and then they don’t? Now, since I’m the biggest nerd of a blogger on this site, I wondered if there was any kind of pattern to the “jeopardy” and the subsequent eliminations. So I made tables of seasons 11 through 17 to try and figure it out. Hindsight is 20/20 – but it can inform how you watch the show going forward. The answer, as you may have guessed, is that yes there is something of a pattern. Sometimes. And it’s an easy one to see when you’re looking back – but still impossible to be sure of when you’re watching the show in real time. 🙂 That is unlikely to change. Read more.. Dancing with the Stars Season 15: Who would you choose as the 13th Celebrity? According to ABC: they have announced 12 celebrities for DWTS All Stars while allowing the fans to choose the 13th celebrity to be on the show. 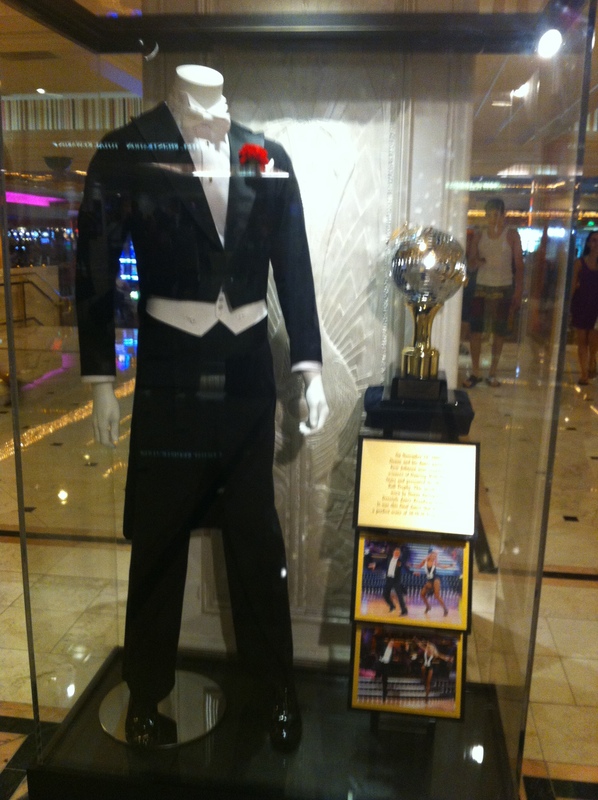 One thing I noticed is that all three choices are part of the DWTS Live Show in Vegas. It’s that time again for a new Pure Dancing With The Stars Questionnaire!! Our first edition is about the professional dancers which dance on the show. Looking back at Season 14, answer each question below to the best of your ability or for whatever comes to your mind first in the comments section. We plan to submit this post to ‘the powers that be’ of the show to let them know how you feel. So, make your voice heard, have fun, and let’s get started…. 3. If you had to choose between the two top people you mentioned above, who would your favorite dancer be on Dancing With The Stars? 4. Who had the best Pro Dance(s) in Dancing With The Stars Season 14? 5. Which two pros would you like to see dance together in pro numbers for Dancing With The Stars Season 15? 6. From the pros on Dancing With The Stars currently, who needs a break the most? 7. From all the professional dancers who have left and/or who aren’t or haven’t been on the show, who would you like to see return? I thought this was cute, so I decided to share. 🙂 If you want to say HI to Ricki, her facebook page is The Ricki Lake Show. PureDWTS Ask Courtney: Why Do Ladies Have to Wear Heels For Ballroom/Latin? From a technical aspect, the shoes actually help to ensure that the ladies are using the proper technique in their dances. Remember my post about heel & toe leads? Well the shoes that the ladies wear for Latin are specially balanced so that the ladies’ body weight is shifted over her toes – and remember, all the Latin dances move forward (and backward) with a toe lead. The ballroom shoes tend to keep the ladies’ body weight balanced evenly on her heels & toes, much like normal shoes, as all the steps in the ballroom dances move forward on the heel and backward on the toe – just like normal walking. The shoes alone can’t guarantee that a dancer will always have the right technique – but they certainly do help!